Hopefully by now you’ve secured the perfect summer home, know all the new restaurants to try and have mapped out the shortest path to the beach. Then there’s the pesky matter of squeezing in time to work out, since apparently carrying three bottles of rosé back from the grocery store doesn’t count. Fortunately, the Hamptons is full of studios that make vacation fitness as painless as possible. Here, the best gyms across the East End (including one that comes to you). The original full-body workout, tennis works your core, legs and arms while giving you a strong dose of cardio. (And we’ll take any excuse to emulate Serena Williams.) New to Amagansett this summer, 27tennis is a “tennis club for everyone” with five courts, private and group lessons for kids and adults, open court time, summer camp, and junior and adult leagues. Traffic on Route 27 got you feeling all kinds of rage? Take it out on the bag. Punch Fitness Center is the place for those who hate studios, with kickboxing classes for various levels—all of which will leave you exhausted in the best possible way. Make a reservation to have the workout come to you with Well Within Hamptons. The fitness concierge service offers private, semi-private and group lessons anywhere from your home to various public locations throughout the Hamptons, as well as a yearly yoga retreat. This international cult-fave barre studio is popping up at Solé East all summer, and our glutes, quads and hamstrings couldn't be happier (or in more pain, depending on how you look at it). Along with its signature ballet-inspired workout, look for classes that incorporate Pilates techniques, suspension training and even moves for new and expecting moms. Whether you’re in the market for yoga, a high-intensity boot camp or a cycling class, Gurney’s Montauk has what you need and then some. 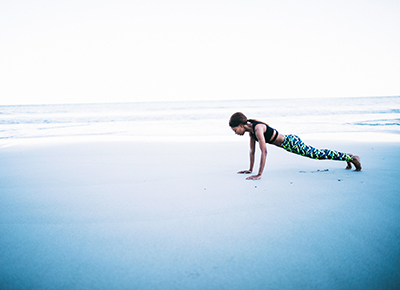 The beachfront resort and spa has all your summer fitness needs covered with a variety of classes and one-on-one fitness options at different price points.